Thibodaux played hard in its first three games but came up short and were 0-3 heading into its 7-AAAAA district opener at New Iberia. Like L.W. Higgins, Zachary and Assumption before them, the Yellowjackets were too much for the Tigers as the home team got the W, 31-14, sending Thibodaux to its first 0-4 start since 2000. 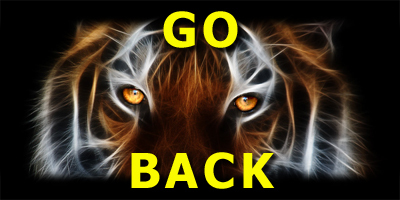 The Tigers returned home to face an H.L. Bourgeois team that had lost to another winless team, Central Lafourche, the previous week in Mathews. Thibodaux would get its first win and even its district record at 1-1 heading into the second half of the 2011 season. And it wasn't even a contest as the Tigers led, 33-0, at the half and cruised to a 40-20 win over the Braves. Three straight losses at home would follow (only one of them competitive) as the Tigers were outmanned down the stretch under first year coach Chris Dugas. They had a fourth quarter lead against Terrebonne in week #7, but lost it late; with one more win coming in week #9 on the road against a weak Central Lafourche team. The 2-8 record in 2011 was the Tigers' worst since 2000. Coach Chris Dugas on Johnson: "We relied on him to put the game away and he did that. He's a workhorse for us."